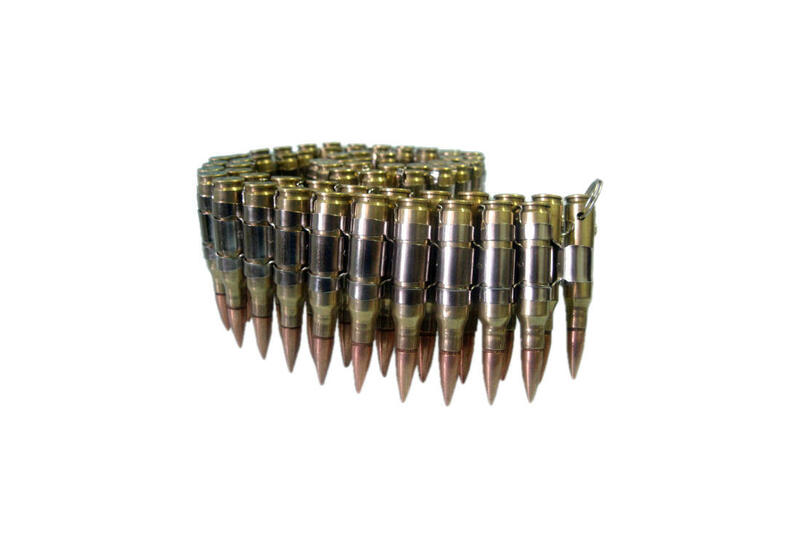 This Brass/Gold/Nickel large 0.308 MM caliber bullet belt has brass casings and nickel Links. The links are removable and the rounds are inert. 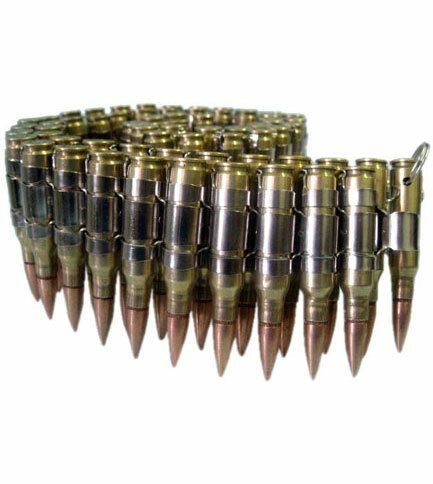 This is one of our heaviest bullet belts. I like the belts okay. I need to add more links to them so they'll fit around my waist.Other than that, they're awesome.